Started 12 years ago by American Tortoise Rescue, to increase awareness and education on one of the world's oldest creatures. 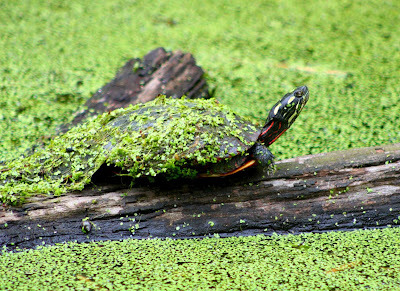 Turtles have been around for about 300 million years. About half of 328 know species known today are listed as threatened or endangered. If you would like to pitch in this World Turtle Day, here are five tips from the American Tortoise Rescue. Never buy a turtle from a pet shop, as it increases demand from the wild. Never remove turtles from the wild unless they are sick or injured. If a turtle is crossing a busy street, pick it up and send it in the same direction it was going. Report cruelty of turtles to your local animal control shelter. Report the sale of any turtle of any kind less than four inches. This is illegal everywhere in the U.S.